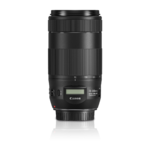 Designed to deliver ultra-high quality images along with lightning fast operation, the new Canon EF 70-300 f/4-5.6L IS USM telephoto zoom lens brings a favorite zoom range to the celebrated Canon L-series of lenses. It features two Ultra Low Dispersion (UD) elements for improved image quality and reduced chromatic aberration, incorporates a floating focusing mechanism for sharpness from close up to infinity, plus an IS system that increases usability by approximately four stops. 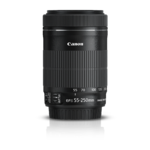 The EF 70-300 f/4-5.6L IS USM features a function that prevents erroneous operation when the lens is mounted on a tripod or monopod. Trademark white, dust and water resistant construction, and a newly developed Fluorine coating that keeps soiling, smears and fingerprints to a minimum, its phenomenal performance and flexibility is assured. For portraiture or to bring what's far away up close, this addition to the L-series is guaranteed to perform. 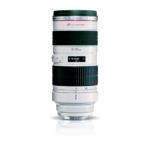 Canon offers a wide range of EF lenses and lens accessories. In this 9 part video series you'll learn all about lens basics, STM lenses, Macro lenses, Fisheye lenses, Tilt-Shift lenses, Wide Angle and Telephoto lenses. Your host for this informative series is professional photographer and educator Matt Kloskowski. In this video you'll learn all about aperture, f-stop, focal length and a lot more. Your host, photographer and educator Matt Kloskowski takes you through the various lens categories and also explains some of the Canon nomenclature. Telephoto lenses let you get close in on a subject. Photographer and educator Matt Kloskowski shows you how to get the most out of your Canon telephoto Lenses. †Offer valid in Canada only, and void where prohibited, taxed or restricted. Availability of certain items may be limited. Prices do not include fees or taxes which must be paid by the customer. Orders will be shipped to a street address in Canada only. Dealers, distributors and other resellers are not eligible for this offers. Offers subject to Canon eStore Terms of Sale. 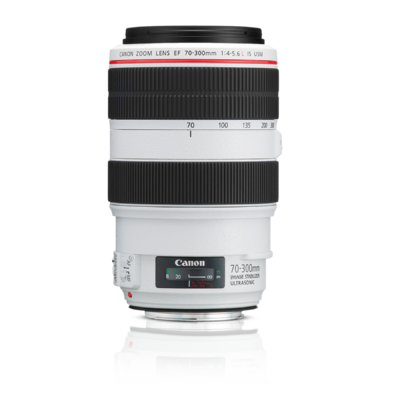 Canon reserves the right to limit quantities. Prices, availability and specifications are subject to change without notice. While Canon Canada Inc. ("CCI") uses reasonable efforts to include complete and up-to-date information, CCI cannot guarantee the accuracy of all the information. Accordingly, CCI assumes no responsibility and may choose not to honour any errors or omissions relating to the sale price of this item. 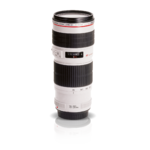 Canon is a registered trademark of Canon Inc. Because It Counts is a registered trademark of Canon Canada Inc. All other referenced product names and marks are trademarks of their respective owners. Reproduction in whole or in part without permission is prohibited. All images and footage on this site are the legal property of Canon Canada Inc. (CCI) and may not be copied or used without CCI consent. CCI assumes no responsibility for any errors or omissions in the content of this website. © 2018 Canon Canada Inc. All rights reserved.